Welcome to the Missio Alumni Network. With over 1900 graduates serving around the world as pastors, missionaries, counselors, business professionals, community leaders and more, our alumni are the heart of Missio Seminary. The Alumni Network exists to engage, serve, support and encourage our graduates as they follow Jesus into the world. Want the convenience of receiving the Alumni Newsletter in your inbox? Click here to sign up! If you would like to share an update with your fellow alumni, please send an email to pzazzo@biblical.edu and we will post it here. Hilary Arthur Nixon (’74 MST from BTS , ’84 PhD Drew University) has published a book: “The Mystery of Ezekiel’s Temple Liturgy“, 2018 Westbow Press. Pat Devine (’04) and CH Lee (’11) are both serving the Lord as chaplains in the US Army and are currently deployed together to Kandahar, Afghanistan with the Train, Advise, Assist Command – South. They are stationed together at Fort Carson, Colorado with the 2nd Infantry Brigade Combat Team, 4th Infantry Division. Please pray for these fellow grads as they follow Jesus into the world as chaplains in the Army. Amy Lent Hellesen (’13, ’17) joyfully announces her marriage on September 30, 2018, to Stephen C. Tumminelli, Ph.D. in Princeton, NJ. Amy is currently counseling and directing a recovery ministry at Stone Hill Church of Princeton on a volunteer basis and plans to pursue licensure as a counselor in PA. Need a transcript (or two)? You can now conveniently order and pay for your transcript(s) through the website.  If you are an alum and would like to order an updated Missio Seminary diploma, click below.